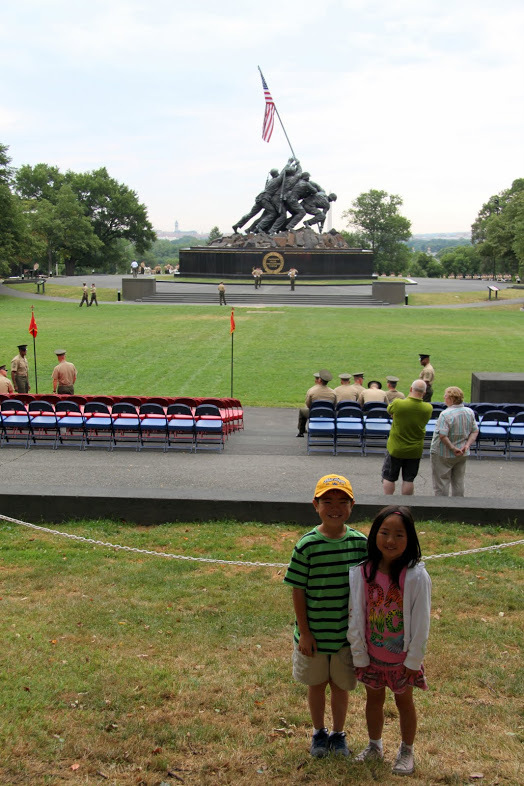 My two smallest kids had the honor to see the memorial first hand in June 2010. Life has been quite unpredictable for me for the past six weeks or so – as well as tiring. I am quite behind in reading many of your fine blogs and that is on my priority to-do list. But it is a hollow descriptive for me to say I am tired. 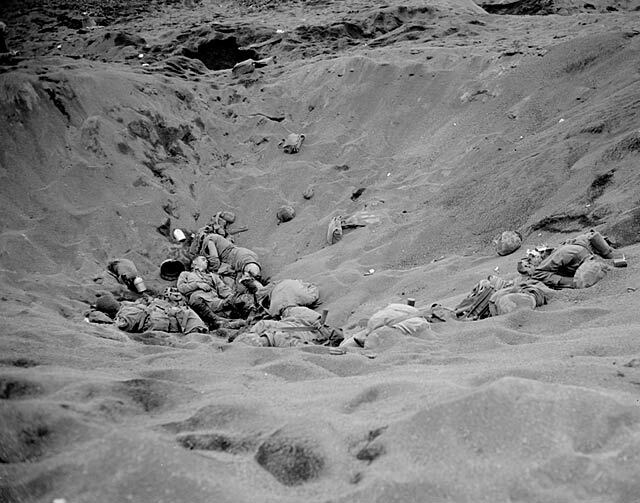 The battle for Iwo Jima began 68 years ago on February 19, 1945. Sixty-eight years ago. Just yesterday for many. Sixty-eight years ago, about 29,000 young men met horrible deaths on that demonic volcanic island – 22,000 Japanese soldiers and 7,000 Marines. That unforgiving island still has not given up all of her dead to this day… American and Japanese. 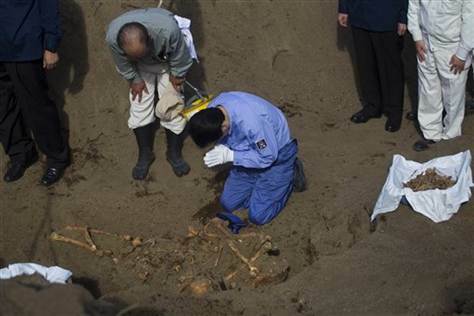 Japanese Prime Minister Kan in blue visited Iwo Jima (now renamed Iwo To) in 2010 to help find and exhume Japanese remains. 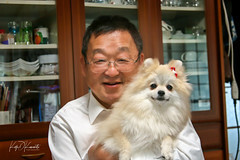 He is the only Japanese Prime Minister to do so. Indeed, the camaraderie amongst the survivors as well as those linked to the battle by relation or history is rightfully still strong. It is vital to the preservation of bravery, courage and love of country. Please click on image to see a brief yet touching video. As mentioned in an earlier blog, the US Army also participated but not in a manner you would expect. Per Dr. James McNaughton’s authoritative book, “Nisei Linguists”, Tech Sgt. 5g Terry Takeshi Doi “landed with the assault waves on 19 February 1945”. Doi was a member of the US Army’s top secret Military Intelligence Service (MIS). Doi would be awarded the Silver Star for his actions on Iwo Jima; he went into cave after cave armed only with a flashlight and knife to persuade Japanese soldiers to come out. I believe he is still alive. Another MIS Nisei, Tech Sgt 3g James Yoshinobu, was fighting in his second world war; he had fought for the US in WW I (that’s ONE) and was 47 years of age while fighting on Iwo Jima. He landed with the 4th Marine Division and was later awarded the Silver Star. One MIS Nisei, Sgt. Mike Masato Deguchi, was seriously wounded by a land mine and died of his wounds shortly after war’s end. Oddly, these Nisei may have never joined the task force sailing out of Pearl for the invasion of Iwo Jima. 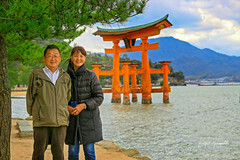 The Nisei contingent was stopped at the security gate and were prohibited from proceeding because they “looked Japanese”. Only with the accompaniment and support of a few Caucasian officers were they finally allowed to pass and board their transport ships. Sixty-eight years later, let us today deeply and reverently remember these brave boys… whether they be American or Japanese…or both. The iconic flag-raising would be tomorrow, February 23. US Marines killed in action.